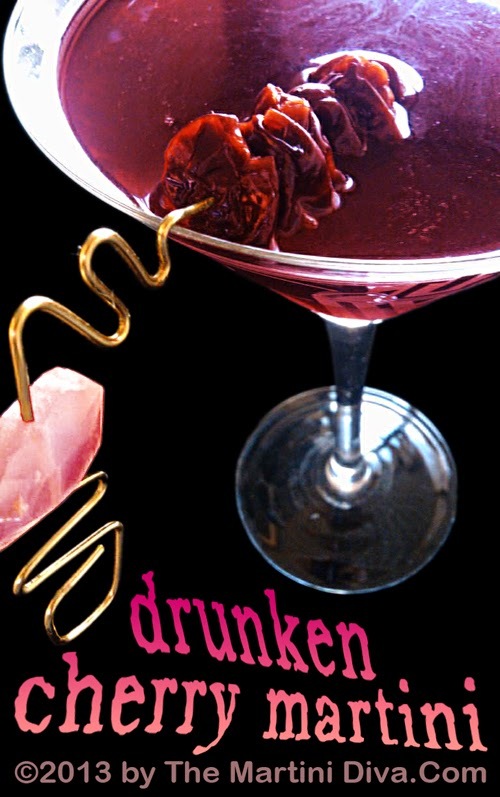 Yes, I said Drunken Cherries because you're going to get those little dried cherries soused! And by that I mean you're going to soak 'em in booze or, in Anthony Bourdain - Top Chef lingo, macerate them! Fill a small, really clean glass jar about 3/4 full with dried cherries. Pour Cherry Vodka (my favorite is Three Olives) to the top, seal up the jar and let sit at least four hours or overnight or even a day or so longer. 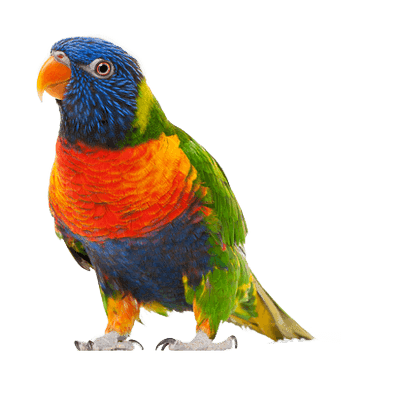 Don't worry about how long they will keep, you'll eat them up long before you have to worry about that! Chill your glass in the freezer. Add a cup of ice to your cocktail shaker and pour in the Cherry Brandy, Cherry Heering, Lemon Juice and the Cherry Bitters and shake until nicely chilled. Skewer several of your Drunken Cherries on a cocktail pick and drop in the glass and serve. 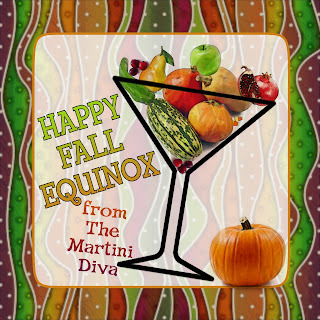 Life is just a bowl of Drunken Cherry Martinis! 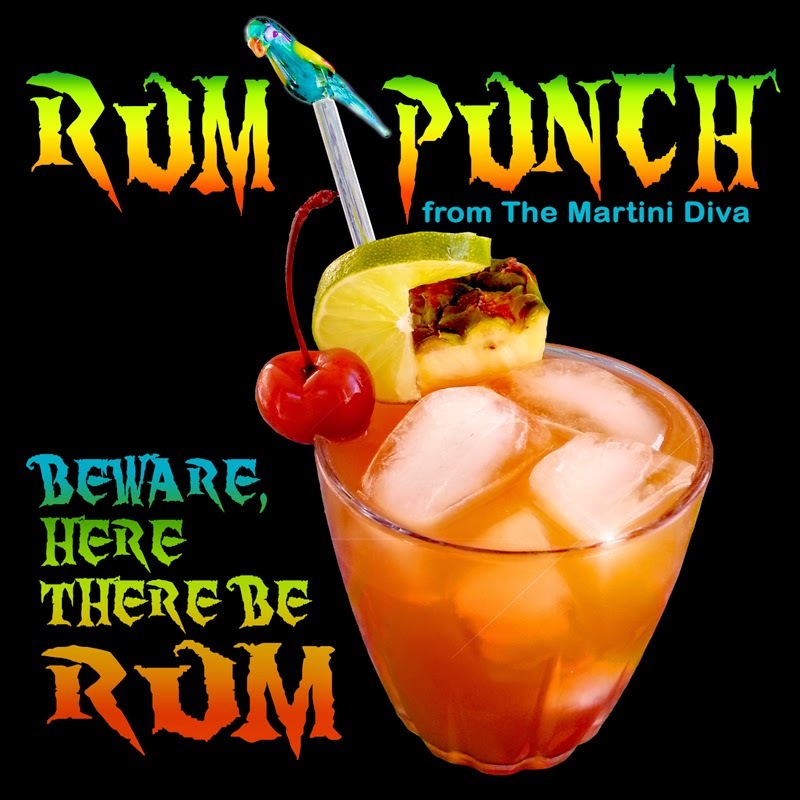 With yesterday being National Talk Like A Pirate Day and today being National Rum Punch Day a really rousing ration of rum is definitely called for and this TRIPLE RUM PUNCH Tiki Cocktail is the answer. Muddle the pineapple chunks, pitted Maraschino cherries and the lime juice in the bottom of a cocktail shaker. Add one cup of ice, pour in the dark and light rums then add the tangerine juice, pineapple juice, apple juice and bitters and shake until well chilled. Strain into a low ball glass filled with ice, float the 151 on top and garnish with the pineapple chunk, lime slice and Maraschino cherry. You might want to keep away from open flames. This cocktail is a shady lady with a past. 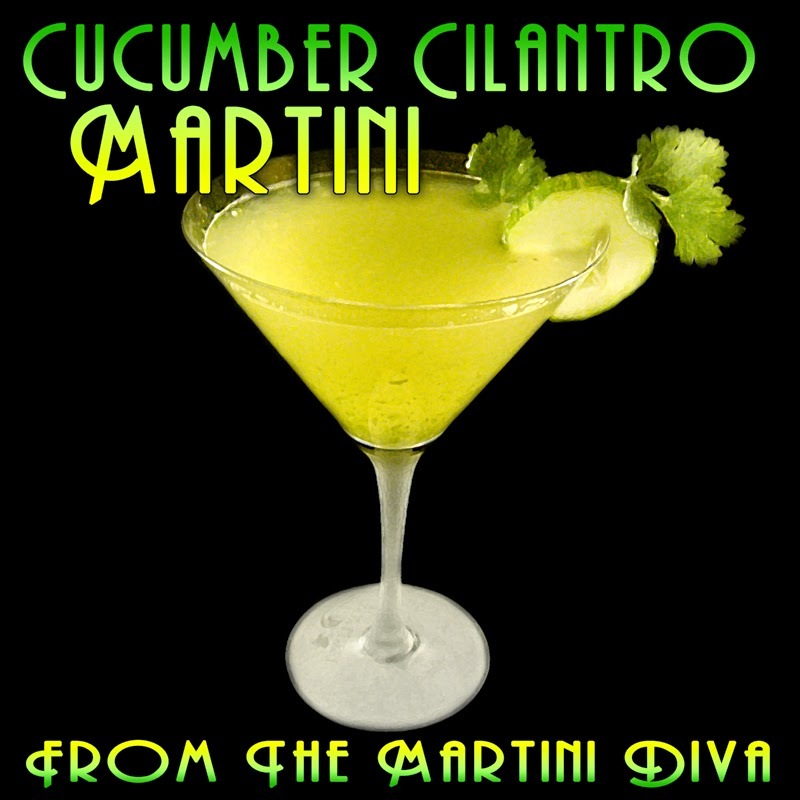 Popularized during the era of Prohibition as a way to cover the bad gins of the bathtub variety and, also, as a way to tempt the flappers to drink away inhibitions, this is the godmother of all the "girlie" drinks. But don't let that moniker fool you, this cocktail packs a punch and it's actually pretty tasty, despite the pooh poohs of long gone cocktail snobs! It's origins are pretty shady too, some attributing it's creation to a 1911 Broadway musical by Ivan Caryll of the same name, and some saying it was created by Architect and society figure Elsie de Wolfe. All I know is that I kind of like having one every once in a while and, thanks to my latest dabbling in Prohibition Cocktails, got a hankering for one the other day. 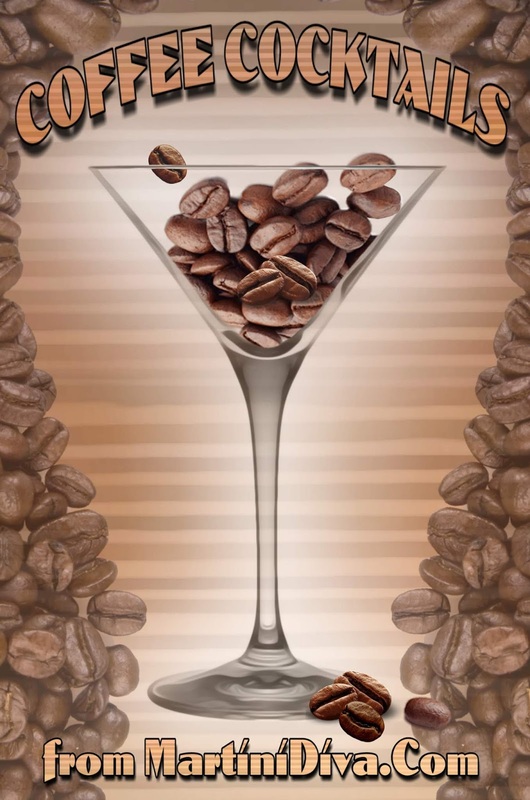 The original recipe from Royal Cafe Cocktail Book of 1937, calls for it to be made with a glass of gin, a tablespoon of grenadine and the white of one egg, then shaken and strained into a glass. Another version calls for the addition of lemon juice which would actually make it a Clover Club. Later renditions added cream to the mix (this is called a Pink Shimmy in New Orleans) and that is the version I prefer. Dip your glass rim in some Grenadine then into the pink jimmies and chill in the freezer. 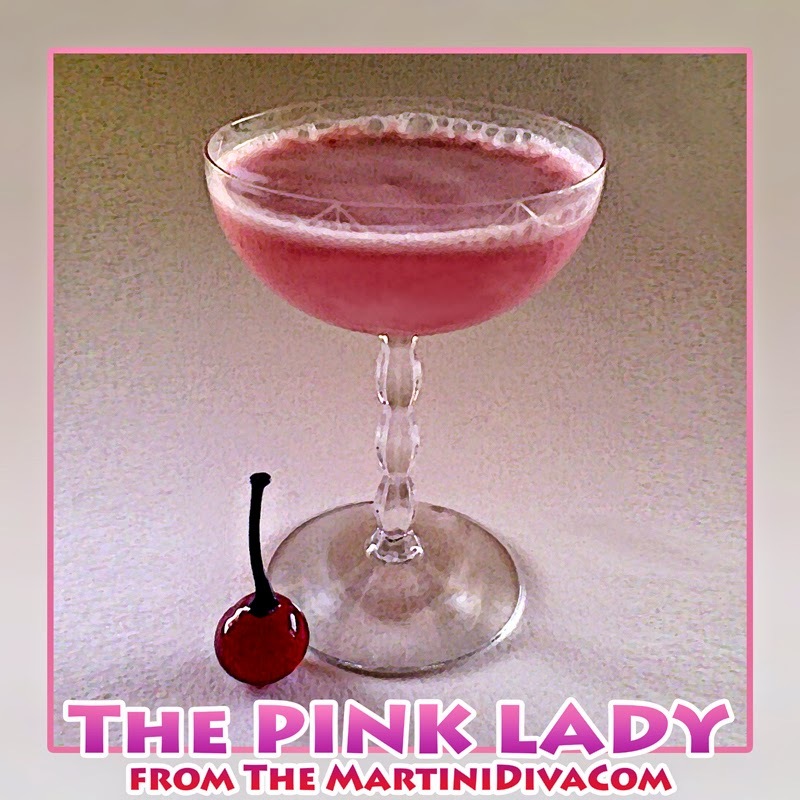 Pour the gin, Grenadine, light cream and egg whites into a martini shaker filled with ice and shake, slowly and gently at first to emulsify the egg, then more vigorously to create the foamy top. 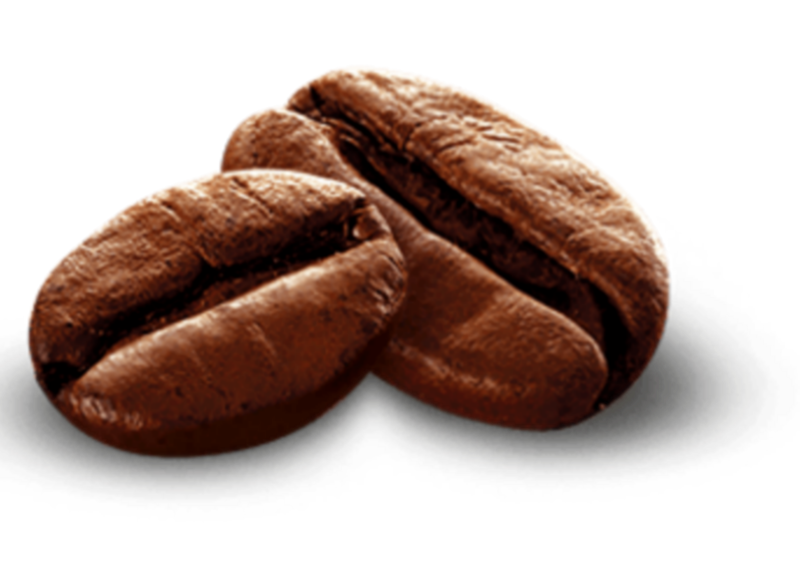 Pour into your chilled, rimmed glass and enjoy. 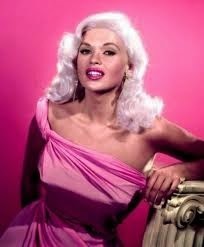 A little Pink Lady Trivia for you: It's said Blond Bombshell Jayne Mansfield used to have a Pink Lady before every meal. I love Lemon Drop Martinis. I have the classic Lemon Drop, a Cherry Lemon Drop, a Blue Lemon Drop, a Pomegranate Lemon Drop and even a White Trash Lemon Drop. When I saw my poor rosemary plant was starting to give up the ghost I grabbed the last few fresh twigs from it and a few lemons and decided to toast to my poor fading herb in high happy hour style. 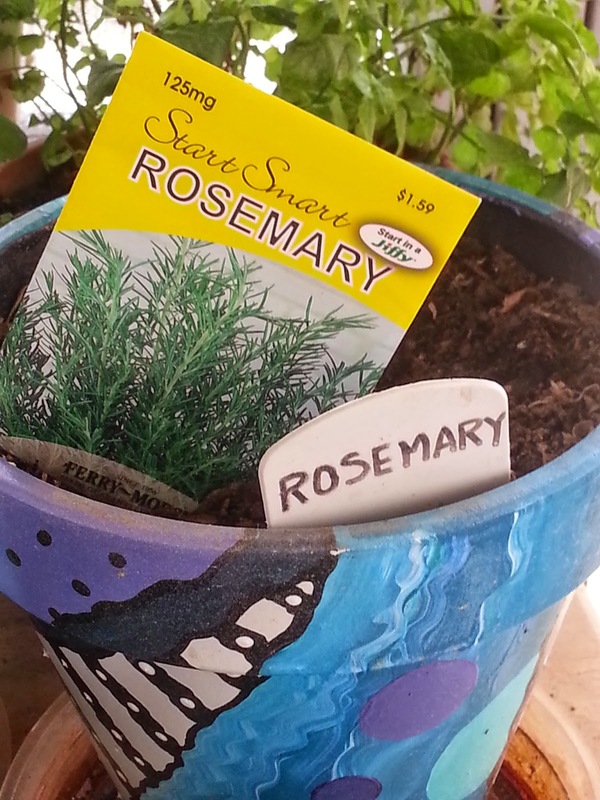 Early in the morning I grabbed off several sprigs of the rosemary and muddled them into a cup of vodka to get some extra rosemary into my cocktail. I let this sit in the fridge until happy hour then set to work on making my martini. First I chilled my glass in the freezer. Then I stripped off the leaves of some rosemary and muddled those in the bottom of my cocktail shaker with the lemon juice and simple syrup. 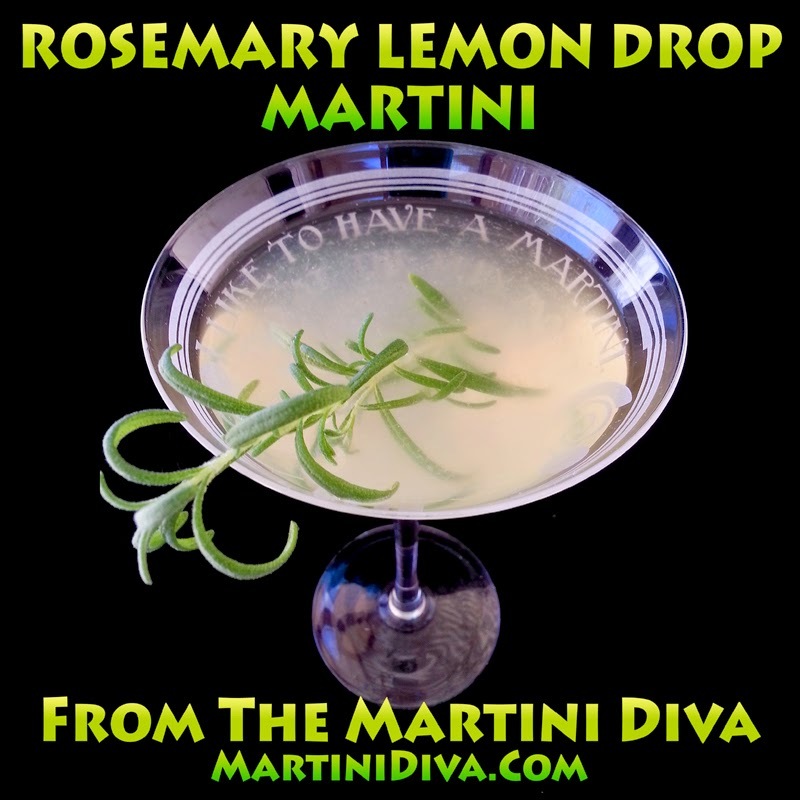 I then filled the cocktail shaker with ice, poured in the rosemary infused vodka and the triple sec, shook until my shaker frosted over, strained into my martini glass and finally garnished with my final sprig of rosemary from my now defunct rosemary plant. Bye bye, Rosemary. Thanks for all the good times, good meals & great cocktails! I'll take good care of your replacements. 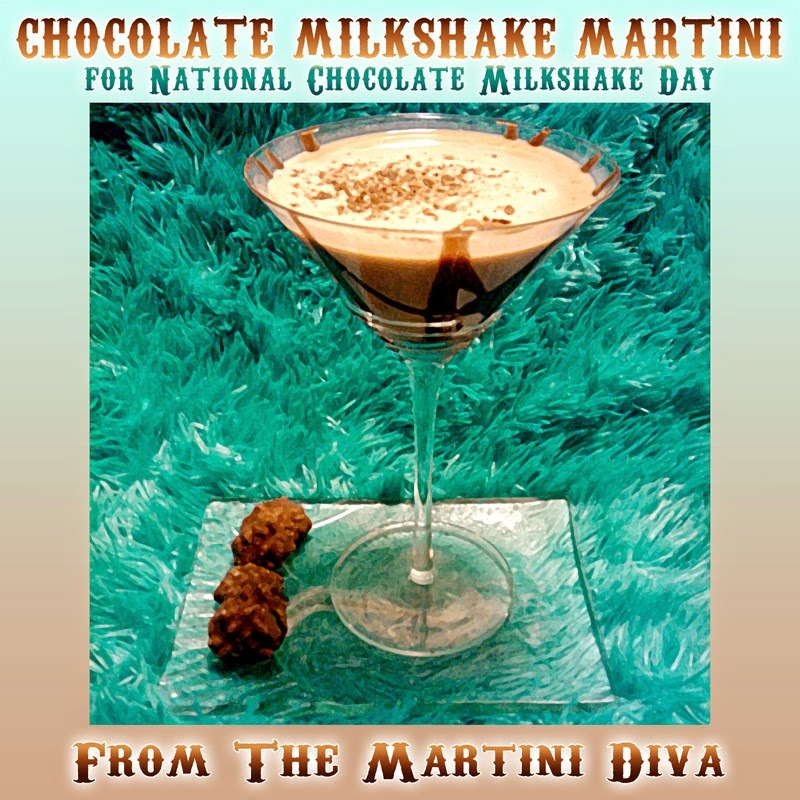 Chill your martini glass for at least 15 minutes then take out and quickly swirl some of the chocolate syrup around the glass bowl and immediately place back in the freezer. Combine the Vodka, Bailey's along with the scoop of chocolate ice cream in a blender and blend only until smooth, don't over blend, you don't want a thin milkshake! 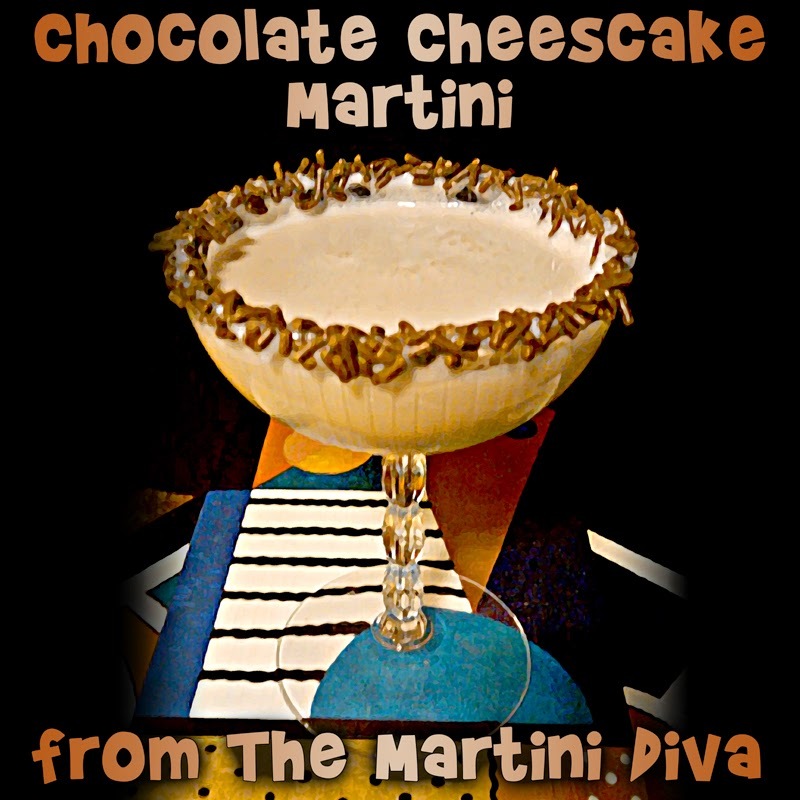 Pour into your chilled martini glass, garnish with the chocolate shavings on top and enjoy! If, like me, you prefer a malt over a milkshake, feel perfectly free to add a teaspoon or so of malted milk powder. I prefer Carnation myself. 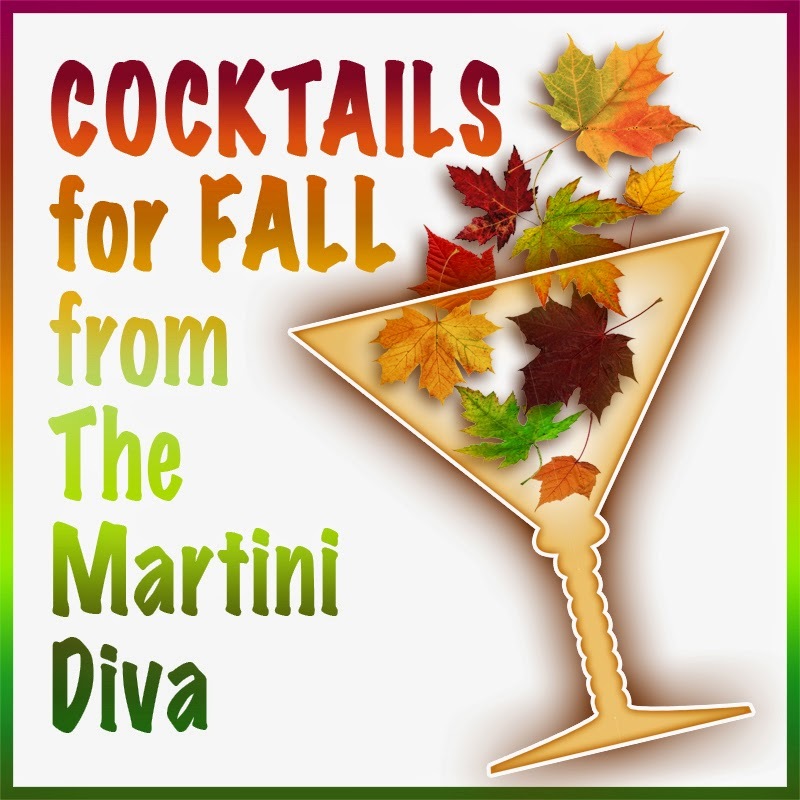 Welcome to The Martini Diva's Ye Olde Boozy Ice Cream Shoppe! Fun Facts About Milkshakes: The first milkshake was documented in print at 1885 in a newspaper. In certain parts of the world a milkshake is known as a "frappe" McDonald's founder Ray Kroc was a milkshake machine seller. In 2000 Ira Freehof, made a 6000 gallon milkshake, the world’s largest milkshake according to the Guinness Book of World Records. The electric blender was invented, by Steven Poplawski, 1922 specifically for milkshakes. During the filming of the original PLANET OF THE APES, actors in the apes costumes were fed milkshakes because they couldn't eat through their ape masks but could drink through a straw. 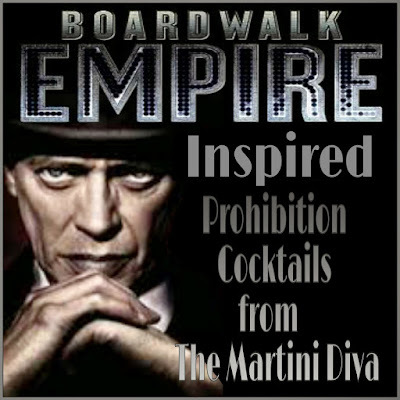 I was a huge fan of Boardwalk Empire and, like all other fans, truly enjoyed this great HBO series. I never missed an episode, not the first run or the second time HBO brought it to life. It's a favorite series of mine, worthy of a binge session every few years. How could a cocktail lover not adore a series that featured booze and Prohibition as major characters? 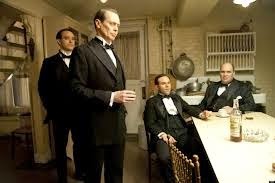 Not to mention the great Steve Buscemi as the anti-hero, Enoch "Nucky" Thompson. If you missed it go have a binge watch soon, you won't regret it. In honor of the series I put together a list of some of the more obscure Prohibition era cocktails to toast to a little more Nucky and a lot more Atlantic City antics. I'm now hoping for a third go-round or a movie. 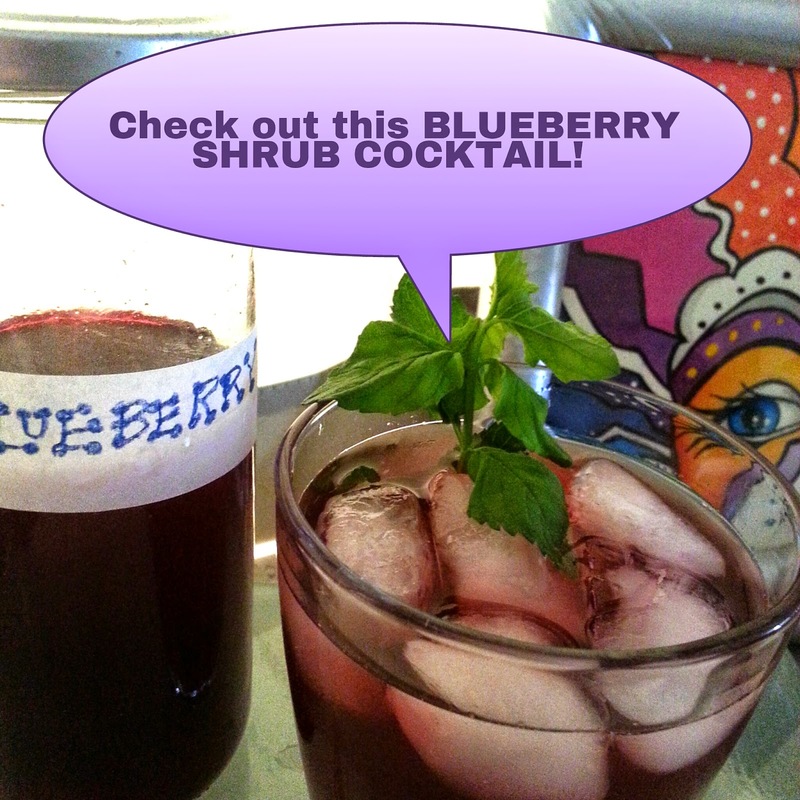 Be warned, like many speakeasy concoctions, Nucky and the era itself, these are quietly dangerous. Now grab your vintage cocktail shaker, add ice and shake. Here's my Spiced Lavender Bees Knees version. 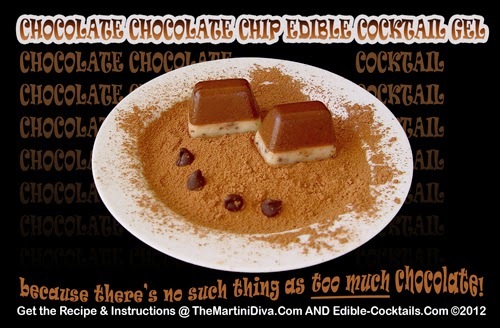 Try my version with egg white and a bit of simple syrup. Here's some history and my fun Halloween Corpse Reviver.